The official app from NASA has been update and with it comes support for Google Cast. The update, version 1.66 for those keeping score, also brings a couple of important bug fixes along the way so if you have the app, you’ll want to get hold of this update when it comes to your device. The banner feature though is Google Cast support. Now you can cast photos and other media from within the NASA app to your Cast device so you can view them on your big screen. In addition to Google Cast support, the app also now support Amazon Fire TV devices too. Along with the new Casting feature, the NASA app also has a couple of important fixes. First, there is a fix on permissions in the app for Android Marshmallow. Some users were having issues getting the app to get beyond the permissions page but that seems to have been resolved. There are also some general bug fixes and performance improvements in the app. 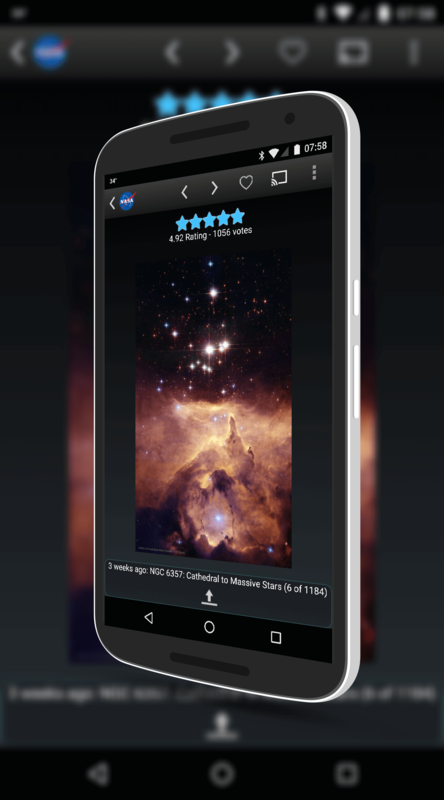 The NASA app is a free app and this updated version is now in the Google Play Store. If you have the app installed already, your OTA update will be coming to you over the course of the next day or two. If you want to download it and check it out for the first time, you can do so here.